I've been experimenting in the kitchen making different versions of these Crispy Toaster Oven Bagel Chips. Since "3" happens to be the magic number, I have three different versions for you. All three start the same way to make. Using a serrated knife, slice a plain bagel in to 1/4-inch rounds (the thinner you go the crispier they'll be). 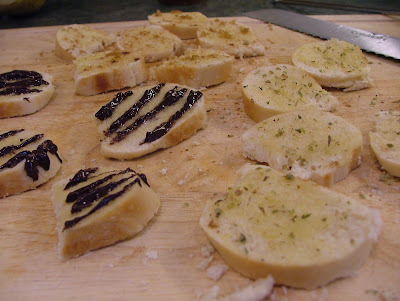 Then lightly brush the top of each bagel round with olive oil and season each with a pinch of salt. Now here's where things get EXCITING! 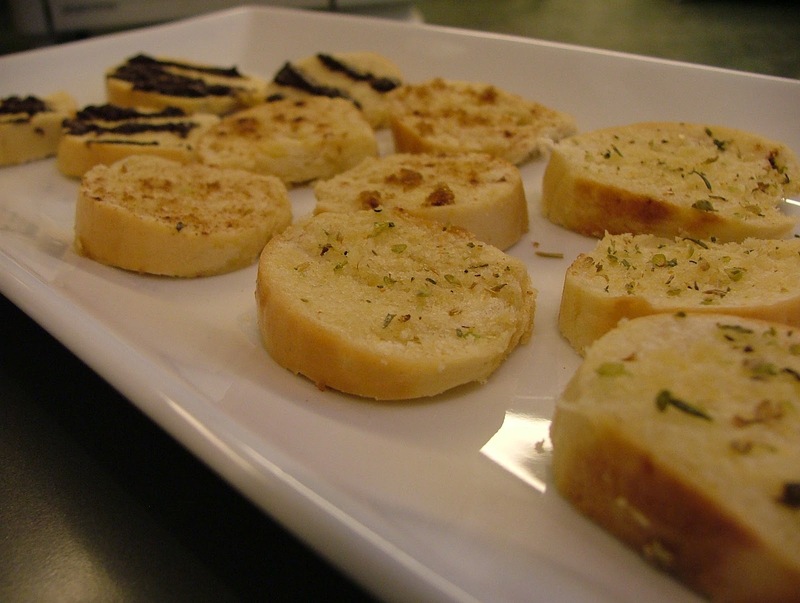 For the Oregano and Garlic Bagel Chips lightly sprinkle dried oregano and garlic powder on each bagel round. For the Cinnamon and Brown Sugar Bagel Chips sprinkle on...you guessed it...cinnamon and brown sugar. And for the Melted Chocolate Bagel Chips, melt some chocolate chips in a bowl by cooking them in the microwave for about a minute. Then use a spoon to drizzle on the chocolate. As you can see my drizzling technique is lacking a certain artistic talent (that's not going to go over well with the judges). Once you've sprinkled on your toppings of choice, place the bagel rounds on a toaster oven baking sheet. Pop them in a preheated toaster oven and bake at 350º F for 12 minutes. Remove and let their crunchy goodness cool for about 5 minutes. The standout for me was the Oregano and Garlic Bagel Chips but that didn't prevent me from devouring the other two versions just as quickly! What topping combo would you put on your bagel chips? Banana Caramel sounds really good!